Tohoku region, where you can enjoy nature. Not only nature, you also can enjoy “onsen” (hot spring), historical spots, festivals, gourmet, “sake” (an alcoholic drink) and many other things. It’s time to relax when you are here. This time we’ll show you events which are held in this region. 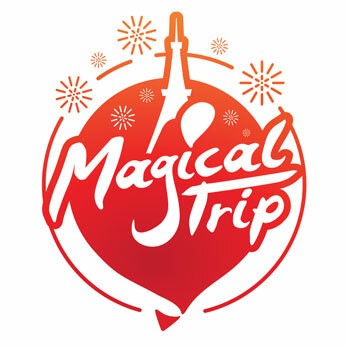 Join these events and enjoy Tohoku! “Daishido (hall with an enshrined statue of Kobo Daishi)”. From January 1st to 3rd－ “sanganichi”( the first three days of the New Year) you can visit for free. New Year’s special “Goma-kito” – for wishing good health, good fortune for the new year is held.Every year more than 60.000 people visit here. Near this temple, there are many sightseeing spots such as “Sukayu Onsen”” Aomori Museum of Art”” Asamushi Aquarium”. A great area to spend your time. Mōtsū-ji temple is listed as a special historical location / special scenic victories of Japan, besides it’s listed as a UNESCO World Heritage Site. During the end of year period till the New Year, main hall and garden are lighted up. “Joya-no-kane” (the bell on new year’s eve), First temple visits of the New Year, this temple is bustling with worshipers. This area also where snow often falls, so you might see wonderful snowy landscape. During the New Year’s Eve and New Year’s Day visit for free. Near this temple, there are Mōtsū-ji garden which is listed as a world Cultural Heritage, Chūson-ji temple “Konjiki-dō” (Golde hall) which is a national treasure building Nr.1 and is listed as a UNESCO World Heritage. During new year’s period of January 1st till 3rd, more than 70,000 people visit this temple. Let’s join! In 1607, the construction of the present “shaden” (hall) was ordered by the wealthy daimyo Masamune Date who is a popular hero among Japanese, to worship the guardian deity of the Date family. The Shaden is brilliantly and bright colored and the oldest existing building. This shaden is designated as a national treasure. You should visit to experience the beauty of the architecture! Besides Saitansai festival during New Year, Matsutaki Matsuri festival is held on January 14. New Year’s decorations, such as kadomatsu, shimenawa, matsukazari are gathered and piled up in the shrine’s grounds. At sundown they are burned with a pure fire that is kindled for sacred events. More than 100,000 people come here to wish safe and in good health. There are also Nikka Whisky Miyagikyo distillery, kotodai-park around this shrine. So a nice mixture of interesting spots to visit. At Dewa Sanzan shrine / sanjinkosaiden(shaden) which worship three gods of, Hagurosan, Gassan, and Yudonosan, The Saitansai festival starts on January 1st 3:00 A,M, Besides on January 3rd, Genshisai festival is held and wish safe, good harvest, birth to a child, find a suitable candidate for marriage and more other wishes. During New Year’s days more than 50.000 people visit. In winter, Mount Gassan and Mount Yudono are closed because of snow. Only Mount Haguro, is possible to visit. When you want to visit Dewa Sanzan shrine, you have to go up 2446 stone steps. On the way, there is a “Ninosaka Chaya” (small rest place) where you can take a rest. You will get a certification that you climbed 2446 stone steps. It must be nice souvenir. Let’s try! December 31 – January 1st 5:00 P.M.
From January 2nd 6:30A.M. – 5;00P.M. 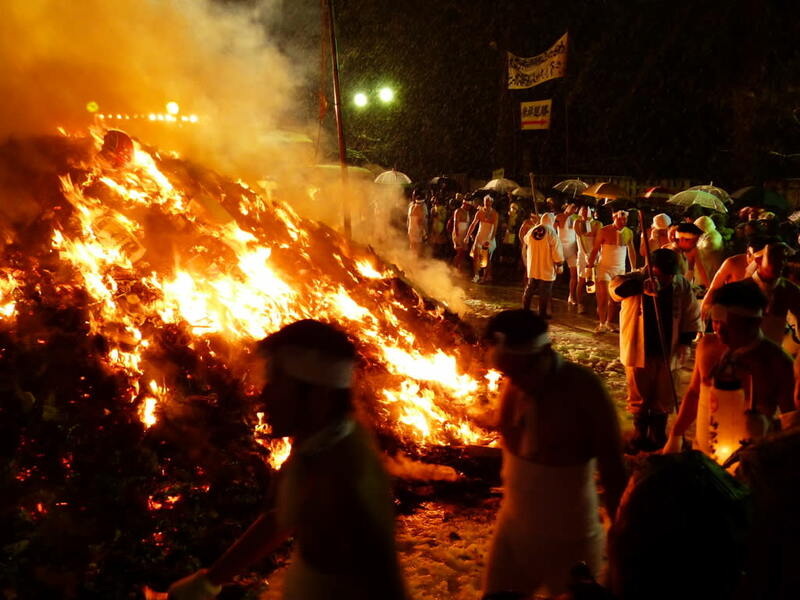 Nanokado-mairi is a Nyohouji-temple batokannnon festival every year held at January 6-7. It used to be a barter market where you can change seafood and vegetables. Nowadays it changes into a New Year’s market where you can buy goods which bring luck such as “daruma” (hollow, round, Japanese traditional doll modeled after Bodhidharma, the founder of the Zen tradition of Buddhism.) as roly-poly toy (symbolize the overcome adversity, and recover from misfortune. ), ”masaru” (toy) symbolizing getting better than last year. During this period about 100,000 people visit this temple and buy lucky goods. 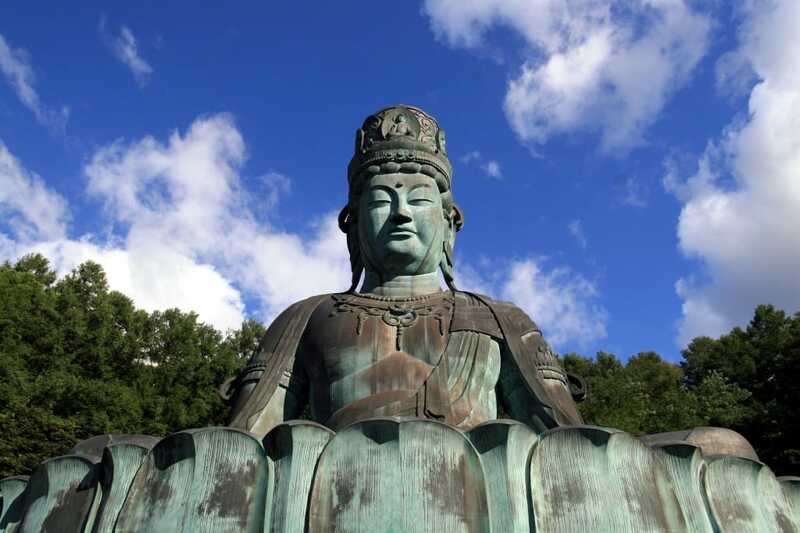 Near Nyohouji-temple, there is “Kaiseizan daijingu” which is called “ Oise sama at Tohoku (Ise shrine in Tohoku)” Should be on your destination list as well! January 6, around 4:00 P.M – January 7, around 4:00P.M. January 6, start at 5:00P.M. Tōno furusato mura(Open Air Museum) where you can experience true mountain village life at locations such as farms with traditional straw work. At this museum, Tōno Dobekko matsuri (festival) where you can enjoy local sake (alcohol drinking) and all kinds of dishes is held yearly. ”Dobekko” means traditional sake. This milky white sake is made during autumn till winter. 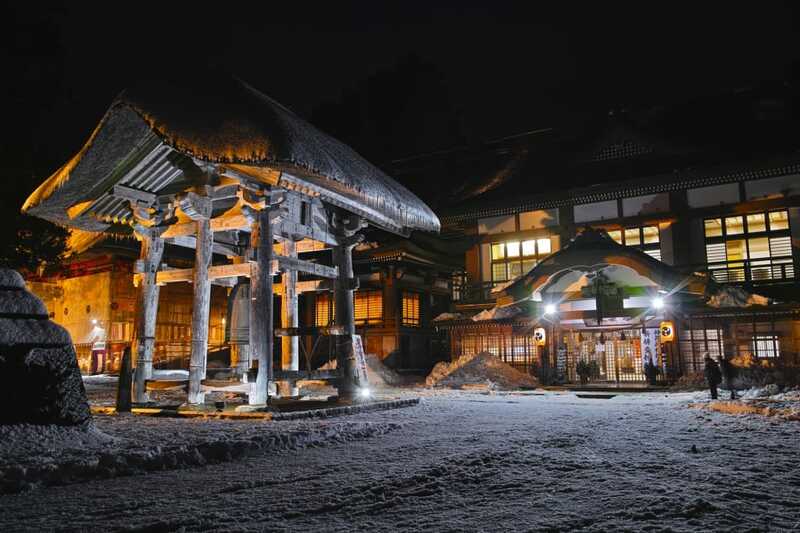 Sit surrounding “Irori” (traditional Japanese sunken fireplace), drink “Dobekko”, enjoy “Kagura” (sacred music and dance) and enjoy local dishes. Nowadays it is typical tradition in winter at Tōno. As local foods, you can enjoy “Kamohittumi (dumpling) ”Kijisoba” (soba noodle) ”Yamame no shioyaki” (grilled fish) and more others. 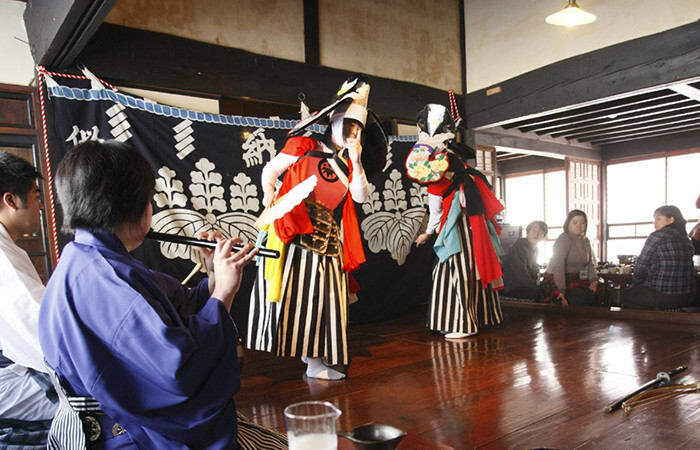 For the person who doesn’t drink alcohol can also enjoy “Kagura”( sacred music and dance ) or talk with the guide. You also can listen to old tales. Matsutaki Matsuri is one of the nation’s largest events ending the New Year’s holiday. Decorations used during New Year’s celebrations, koshinsatsu (talismans), and other things are burned and dedicated to the shrine deities. In other areas festivals of this type are commonly called Dondo-yaki. The worshippers wear white towels around their heads, white cloth around their hips and hold pieces of paper called fukumigami in their mouths to prevent them from talking, they also hold bells in their right hands and lanterns in their left hands. The appearance of thousands of worshippers marching from all parts of the city is known nationally as a winter tradition. 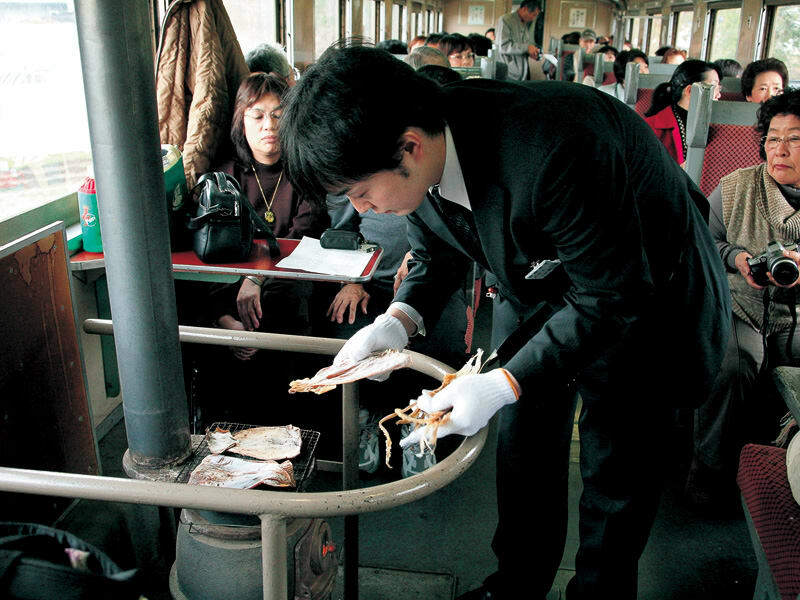 From January 2005, it designated as intangible folk cultural property of Sendai city. We’ll recommend you to visit this special event. 1,300 years of historical “Dainichido bugaku”. The four local communities ”osato’” Taninai” ”Azusawa” ”Nagamine” performance” bugaku” (court dance and music) on January 2, start at 8:00 A.M at Ōhirume-no-muchi jinjya(shrine) / Dainichido. “Mai “(dance) inherit the oldest style. and it is highly appreciated. Dainichido bugaku” designated as important intangible folk cultural property of Japan in 1976. Besides registrated in September 2009 on the Representative List of the Intangible Cultural Heritage of Humanity by UNESCO. In the surround area there are “sibarionsenmotoyu” “ Goshogake onsen (hot spring)”. After visit Dainichido bugaku, let’s go to onsen! ・Nearest station and travel time from the station. From Morioka Station to Kazunohanawa station by bus. You also can enjoy local dishes from Akita, “Kiritanpo nabe” (casserole) “yakitori” (roasted chicken.) Besides there is Senbayaki (barbecue chicken) which is so popular that you have to stand in line to eat. Everything related to Hinai dori – a funny and also delicious festival. Tori-no-ichi parade 27 start at 9:00A.M. Other events 27 & 28 start at 10:00A.M.